Tim L. submitted this photo and caption. 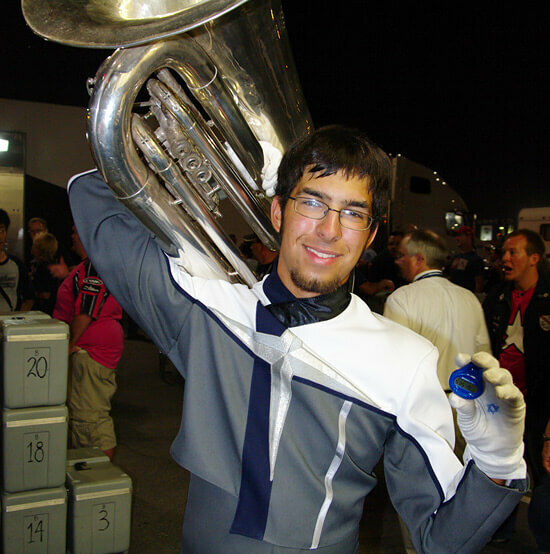 Here's Blue Stars member Nate L. after the 2010 World Championship Finals, showing off his last surviving pedometer. He took one on tour with him this summer, and while wearing out that one and another, he amassed more than 1.25 million steps between rehearsals and shows. This was his first year in drum corps and he says it was a great experience to be able to march in such an incredible show as "Houdini" with all his corpsmates.